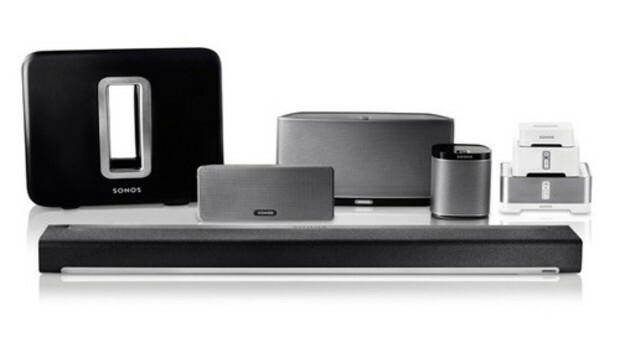 Sonos is pretty much the gold standard of multi-room wireless audio. Sure, the company's systems can fall on the pricey side, but the experience of using one is worth the cost--everybody we know who has one absolutely loves it. One (smallish) complaint about using a Sonos system, though, is the Bridge--the $49 non-speaker component that you have to connect to your router. That Bridge then creates the mesh network (which the company calls "SonosNet") to stream audio around your house. If you're able to wire a Sonos speaker directly to your router, you can bypass the need for a Bridge, but that can be a pain. Soon, that Bridge--or any wired connection--might not be needed at all. On Thursday, Sonos announced in a blog post that it's beta-testing a software solution that keeps the SonosNet mesh network intact--so the speakers are communicating directly with each other--without needing a wired connection to your home network. All you'll have to do is enter your Wi-Fi password into the Sonos app, and "Sonos takes care of the rest," according to the post. This all-wireless solution might not work for everyone's situation: If you have a large home where not all the speakers are in Wi-Fi range, or some other "challenging network environment," the Bridge might still come in handy. But Sonos says, "our diagnostics and early testing show that the majority of homes will work well with the new software solution." Sonos hasn't given a timeline for when customers may be able to ditch the Bridge. But anyone interested in participating in the beta program can fill out an application to join.